Kathleen Padoon Napanangka spent her early years in the country south of Yaka Yaka, which included her father's country, Mangkayi, and her mother's country, Nantalarra and Nakarra Nakarra. During this time the family occasionally travelled to Gordon Downs Station for rations of flour, tea, sugar and tobacco. When Padoon was still quite young her family moved to Sturt Creek, where Padoon worked in the laundry. She later met her husband Paddy Padoon here when he was working in the stock camp. Padoon then moved to Old Balgo Mission with her family and had to place her young children in the dormitory so she could work in the garden and in the kitchen making bread. When they were able the family would travel back to Sturt Creek on weekends and at holiday time. Padoon now lives at Wirrimanu and started to paint for Warlayirti Artists in the late 1980s. She held her first solo exhibition in 2004. 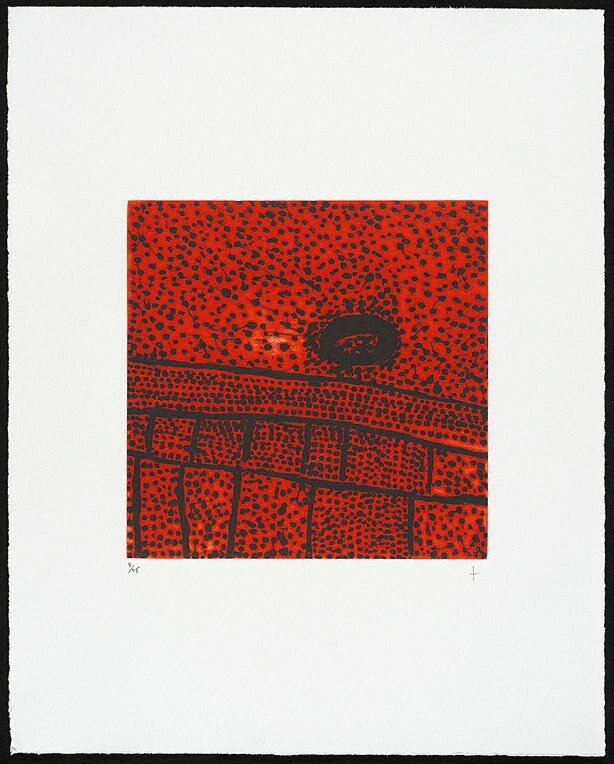 "Kathleen has depicted her country south of Balgo in the Great Sandy Desert. This country is named Nakarra Nakarra and is one of the sites of the Seven Sisters' Dreaming, a story about seven sisters who travel the ancestral landscape running from an old man who wanted to marry the youngest. At Nakarra Nakarra a group of hills embody the seven sisters. The circle depicted represents a warniri (rockhole) and the surrounding features are the tali (sandhills) found in this country".